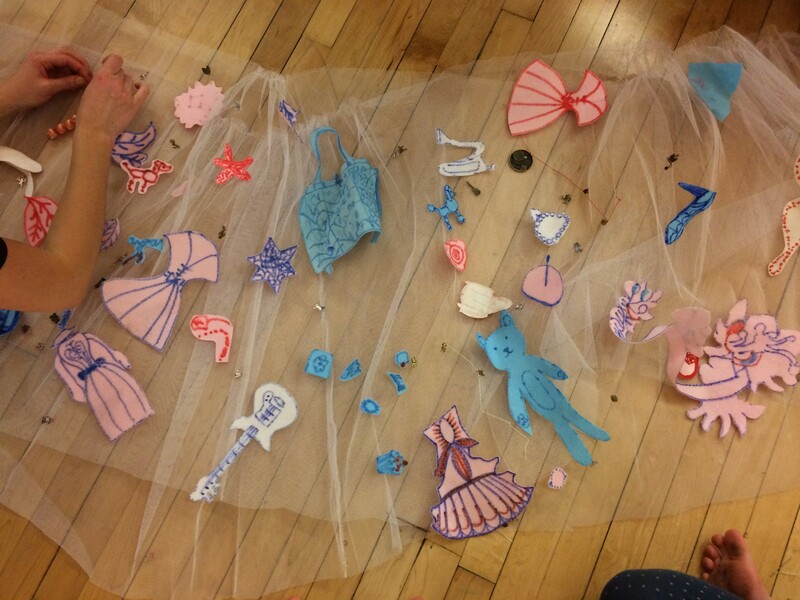 This Saturday was our 4th family workshop. The group are really growing in confidence and working together brilliantly. The children and parents from different families have bonded and clearly enjoy working together. The focus of this weeks workshop was to gather together all of the movement material the participants have created and form a structure. We began with their lively pictures and duets, depicting what it might be like to be on board The Princess Alice. 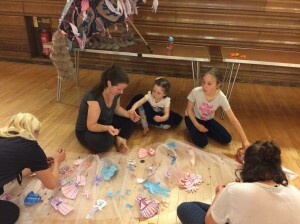 These joyful scenes soon dissolve into the disaster section, where the families are able to showcase the beautiful movement material they created last week. Structuring the material in this way gave context to their ideas; the result was really moving to watch. 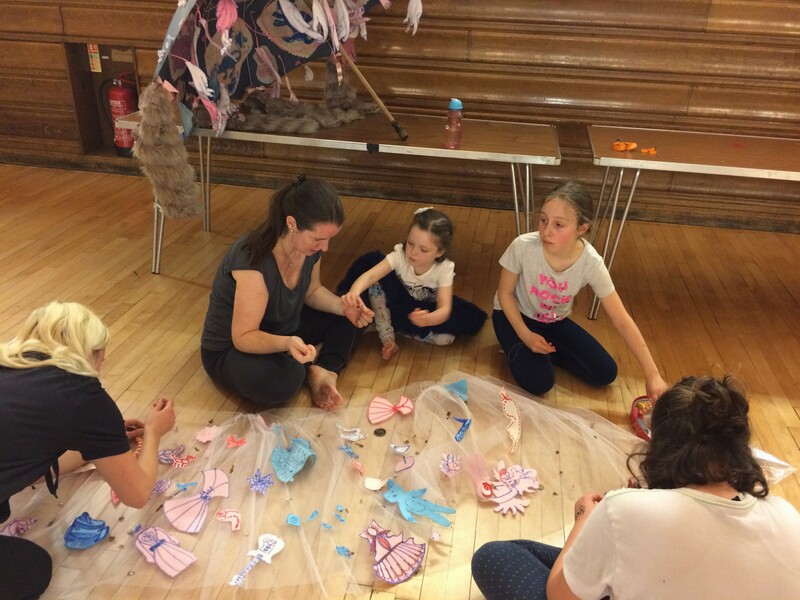 We were joined again this week by Nicola Flower, who brought with her an array of creative tasks for the families to get involved with. We had a couple of people missing this week, so were a slightly smaller group. As a result, we decided to have the whole group work with Nicola for 20-25 mins rather than rotating. 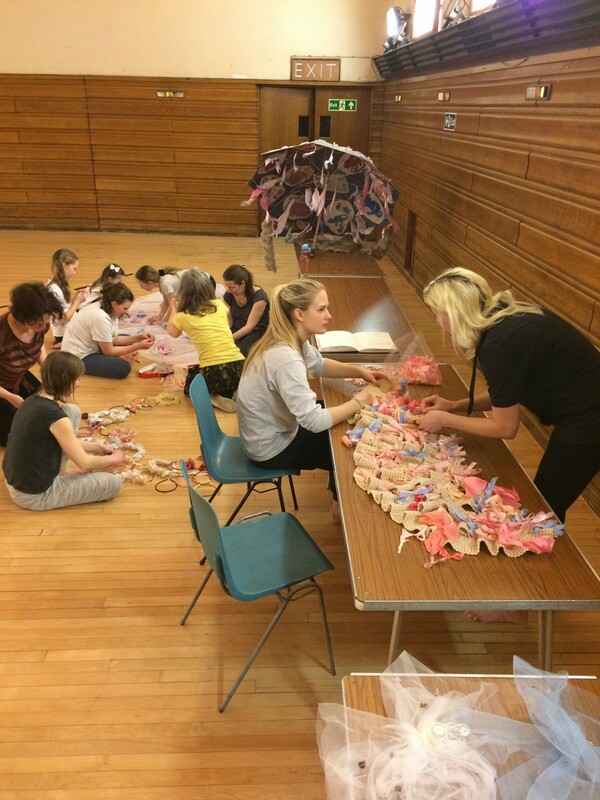 Everyone had worked so hard on structuring the choreography, that sitting and crafting was a welcome break! As everyone got stuck into their detailed crafts, conversations began to evolve and little snippets of peoples lives emerged. The atmosphere in the studio was really calm and everyone seemed to enjoy the opportunity to get to know each other a little better. After such a wonderful rehearsal, our youngest participant (5yrs) told me she didn’t want it to be home time! If only we could be in the studio together everyday! We will be back together again on the 25th March, when our usual workshop will be followed by a sharing. This is an opportunity for the group to perform in front of their family and friends. They will be joined by the dancers from DFDC as well as Nicola, James (film maker) and Gigi (photographer)! It will be a busy but fantastic afternoon!